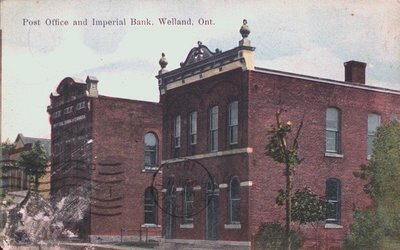 A postcard of the Post Office and Imperial Bank, Welland. Postmarked 1908. Published by A.A. Perry & Co. Printed in Germany.